FAAM is the result of a collaboration between the Met Office(TM) and the Natural Environment Research Council (NERC) and has been established as part of the National Centre for Atmospheric Science (NCAS) to provide an aircraft measurement platform for use by all the UK atmospheric research community on campaigns throughout the world. 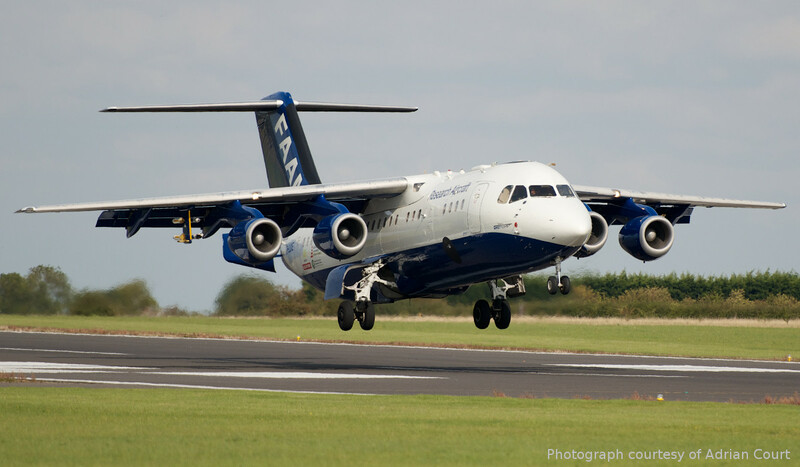 The modified BAe 146-301 large Atmospheric Research Aircraft (the ARA) is owned by the Natural Environment Research Council and, via a support contract with BAE Systems, operated for them by Airtask. Our Home Base is at Cranfield University, Bedfordshire. Cranfield University is partnering with FAAM to offer a PhD studentship funded through the Central England NERC Training Alliance (CENTA2) doctoral training program. The project aims to develop a miniaturised package of relatively low-cost instruments for the airborne measurement of CO2 and CO, and deploy the new system on FAAM’s X-rack, which concept is to fast-track access for prototyping new technology on-board its atmospheric research aircraft. In summer 2017, Jacob Maresca from the University of Sussex worked at FAAM as part of the South East Physics Network (SEPnet) placement program. Jacob discusses his placement here. Deadline for a NERC call for applications on "Alternative Hydrocarbons" (shale gas) November 3rd for declarations of intention to submit, November 30th for applications.